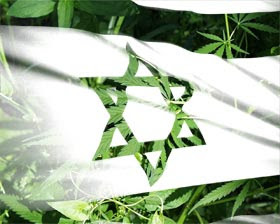 The State of Israel has a reputations as having one of the most advanced medical marijuana programs in the world. And she is getting a big boost these days from American TV star Montel Williams. Williams, who was diagnosed with multiple sclerosis in 1999 and has since been an outspoken advocate of medical marijuana to relieve pain caused by the disease. He was impressed with Israel's medical usage of the cannabis plant and during a visit to Israel this week, said that he believes the US has something to learn from Israeli policies. “There are chemicals within that plant,” he told AP, “and some of the leading science on where and how those chemicals work is being done right here in this country, Israel”. Hundreds of Israelis receive medical marijuana on a regular basis in a government program launched in 1994. Program director, Dr. Yehuda Baruch said that about 60 patients applied each month to join the program that enables them to receive free marijuana for their medical problems. Among the conditions accepted by the program are cancer patients, HIV positive patients, people with Crohn’s Disease or ulcerative colitis, who are being treated by gastroenterologists and MS patients specifically for the spasticity symptoms upon recommendation from an MS center or a neurological specialist. Patients with post stress trauma disorder were being tested with the drug on an experimental basis said Dr. Baruch. Williams, says he uses marijuana daily to alleviate his pain, and said he will surely go back to the US with a different view of Israel.